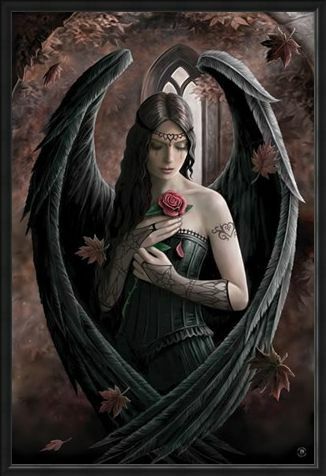 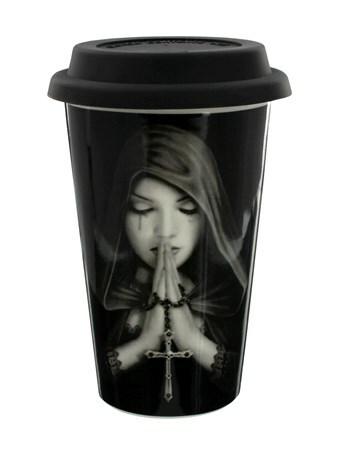 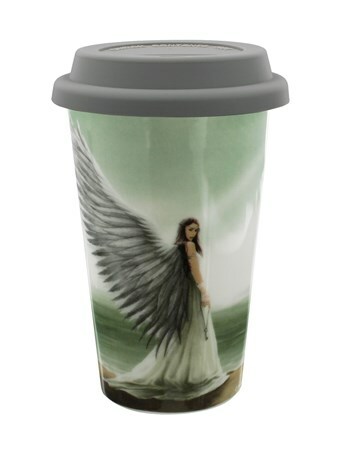 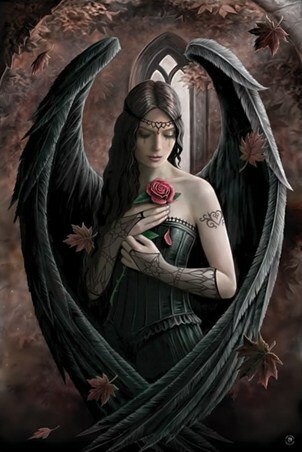 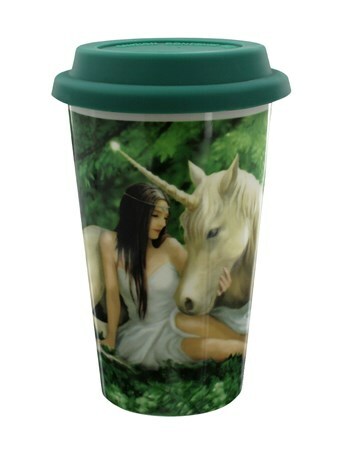 Anne Stokes Fantasy Poster: This beautiful poster from acclaimed fantasy artist Anne Stokes depicts a reflective angel holding a rose with black feathered wings forming a protective heart around her. 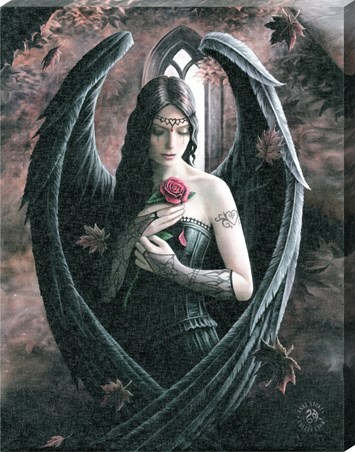 Stokes has said that this dreamy image symbolises the passing of time which is shown by the petals falling from the rose and the leaves swirling around the angel. With subtle rustic colouring and a gothic theme this gorgeous poster is the perfect item for any fantasy art fan. High quality, framed Angel Rose, Anne Stokes poster with a bespoke frame by our custom framing service.